I've just strained/sprained my knee/ankle...what should I do? An appointment should be made to see your physiotherapist ideally within 24 - 48 hours. They will be able to reduce the swelling and any restrictions in movement. 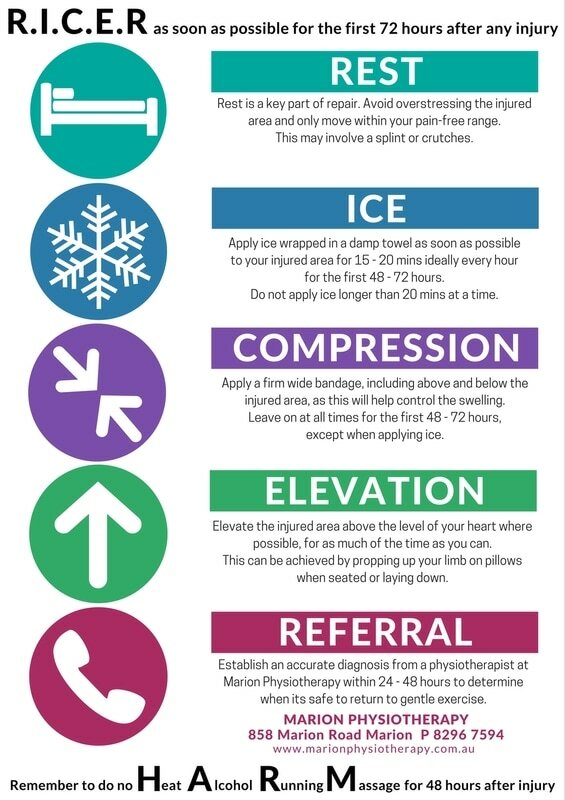 They will also be able to advise you on how to best tape the area, any work restrictions/possible length of time off and in time provide you specific exercises to strengthen the area to prevent further injury. ​For lower limb injuries remember the saying 'good leg to heaven, bad leg to hell' when attempting stairs. Use your good leg to take your weight as you step up and follow through with your injured limb. When going down stairs lead with your injured limb first.